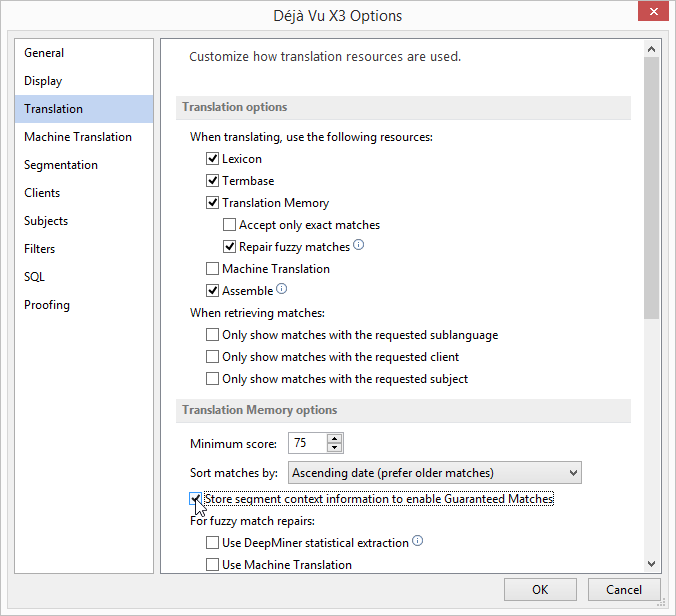 To be able to retrieve Guaranteed Matches you must be using the Workgroup edition of Déjà Vu: the other edition can't retrieve them (although it can open projects that already have Guaranteed matches in them). Access the menu option Tools>Options, select the General tab, and check the option Enable Guaranteed matches. 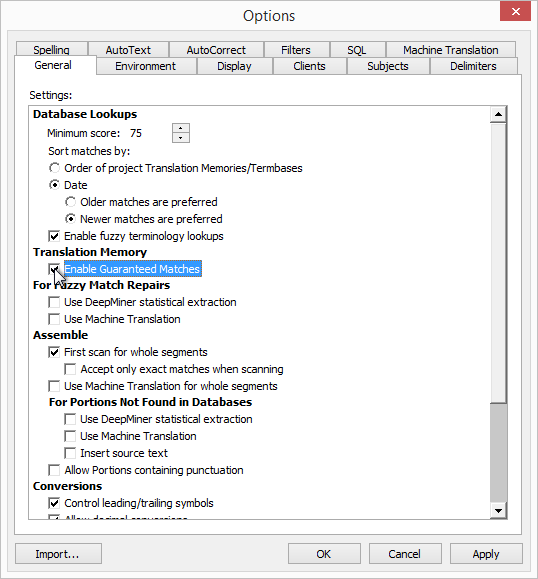 Access the menu option File>Options, select the Translation tab, and check the option Store segment context information to enable Guaranteed Matches. In order to retrieve Guaranteed matches, the TM being used must contain the segments being matched in the same order. If not all segments are present in a single TM, or they are not in the same order, Déjà Vu will not be able to guarantee matches, and will mark them as Exact matches instead.